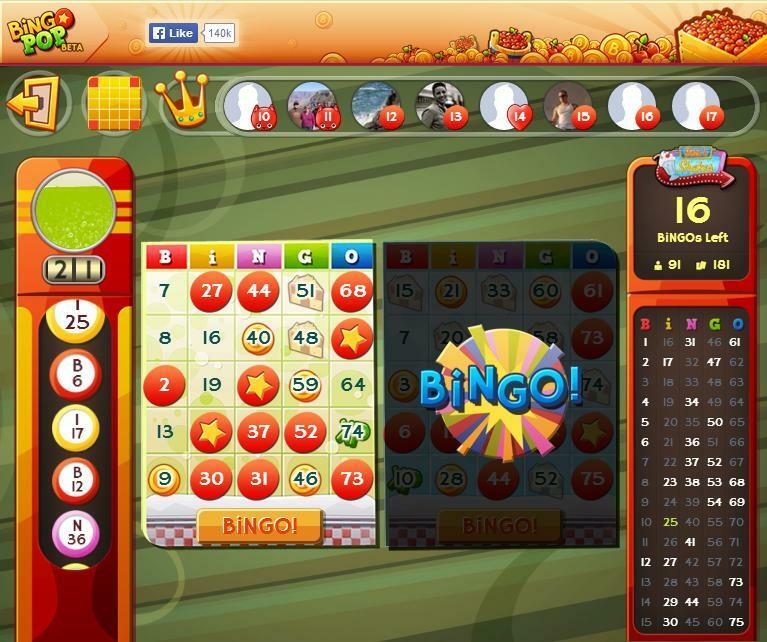 Play Bingo Pop and relax with some fantastic classic bingo. Enjoy powerful boosters and collect special items for free plays and extra coins. 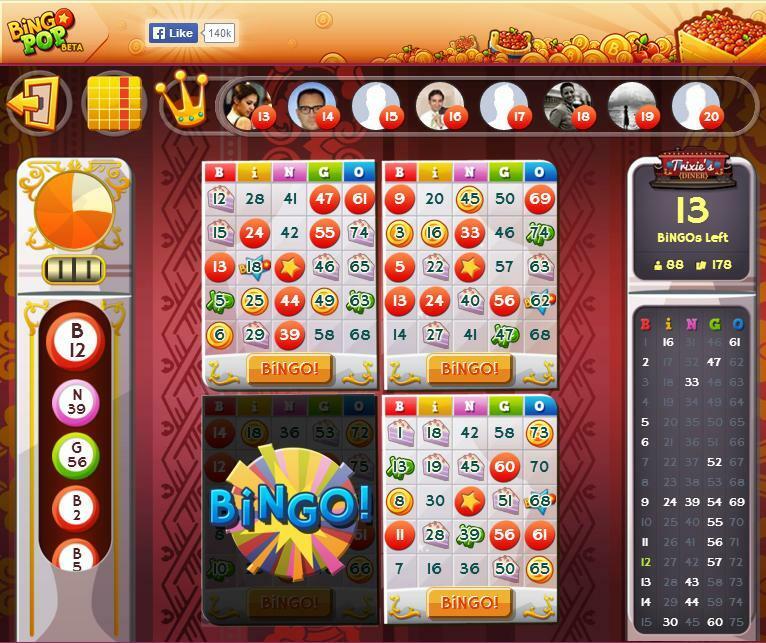 Enjoy a classic bingo game in a relaxed atmosphere. Collect cake slices to earn huge bonuses. Use your boosters to win instant daubs or even bingos. Dec 15, 2016 Bingo Pop 0 0 Love Bingo Pop Full Review Feb 24, 2016 Fun and interesting 0 0 Keep :) having to get puzzle pieces makes bingo pop more funny. 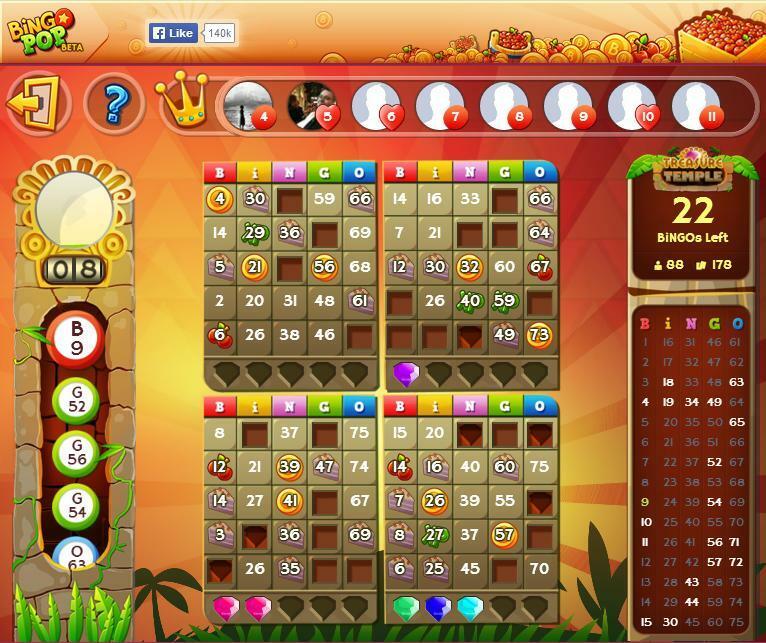 Full Review Jun 27, 2015 pour bingo pop 0 0 super Full Review Mar 28, 2015 love bingo pop 0 0 nice games.